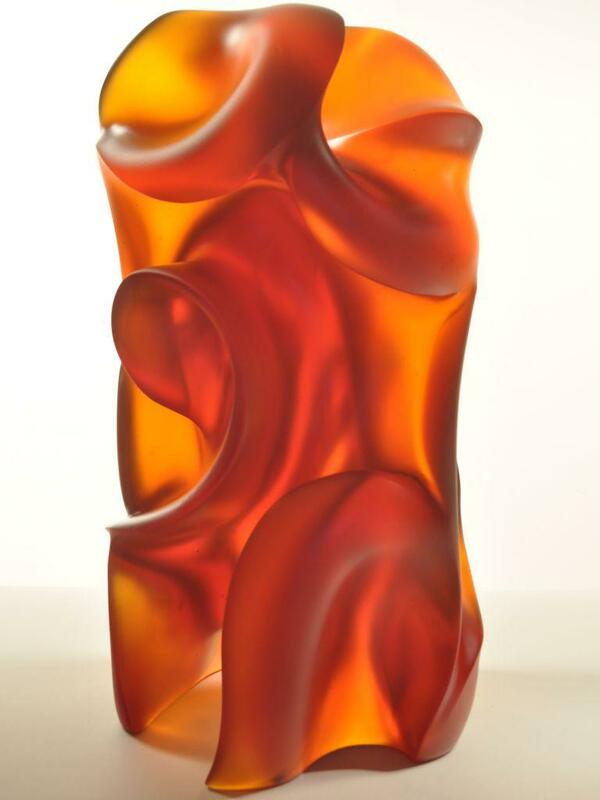 Red Shift is a departure from my previous glass works in that it is a more solid core glass sculpture, no penetrations, save the notch at top and bottom. This was challenging to visualize while sculpting in solid brown wax. Visualizing what “may be” is a leap of faith. It may not happen as visualized, so the form first had to be good. But the hoped-for effect did happen and I am pleased. On previous works, I had been noticing hints of shapes and colors being projected onto one side of the piece by design structures on the other side of the piece. 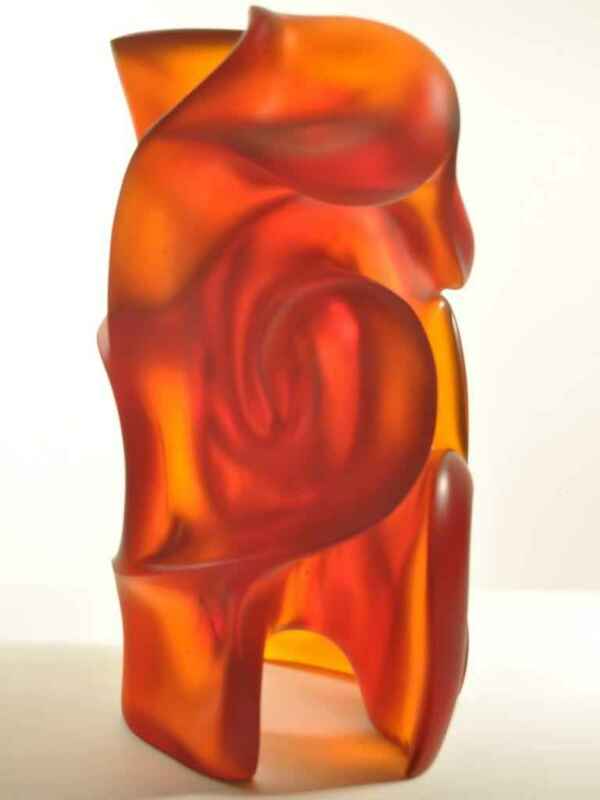 With Red Shift, I intentionally planned for that occurrence and chose a glass that does dramatic color shifts depending on the thickness. At Opening Event in Santa Fe on August 3, 2012, Red Shift was awarded BEST IN SHOW for 2012 New Mexico Contemporary Glass Invitational co-hosted by Glass Alliance New Mexico and Mill Fine Art Gallery.